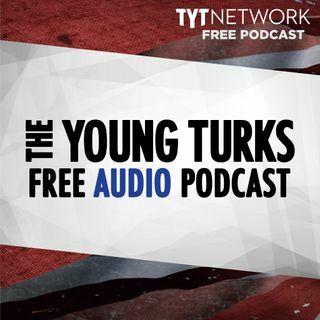 A portion of our Young Turks Main Show from January 23rd, 2018. For more go to http://www.tytnetwork.com/join. Hour 1: Segment 1 Cenk. At least two students were killed and 17 other people were injured in a school shooting on Tuesday at Marshall County High School in Benton, Ky. Authorities arrested a Michigan man last week after he allegedly called CNN several times, threatening to kill employees at the network's Atlanta, Georgia, headquarters, according to a federal affidavit. Brandon ... See More Griesemer made 22 calls to CNN on January 9 and January 10 and four calls, which were recorded, contained threats, according to the affidavit, which was unsealed Friday. Griesemer, whose age was not given, also made disparaging statements about Jewish people, African-Americans and the network in several calls, the affidavit said. Segment 2 FBI Agent Peter Strzok was dismissed from Special Counsel Robert Mueller‘s team after messages he sent that demonstrated a bias against President Donald Trump. Oddly enough, that same agent almost didn’t even join Mueller’s office because he didn’t think here was any evidence of the Trump campaign colluding with Russia. Attorney General Jeff Sessions — at the public urging of President Donald Trump — has been pressuring FBI Director Christopher Wray to fire Deputy Director Andrew McCabe, but Wray threatened to resign if McCabe was removed. Chuck Schumer is taking his big spending boost for Donald Trump’s border wall off the table. The Senate minority leader, through an aide, informed the White House that he was retracting the offer he made last week to give Trump well north of the $1.6 billion in wall funding Trump had asked for this year, according to two Democrats. And now they say Trump will simply not get a better deal than that on his signature campaign promise.